These homes are full of contrasts. Dark and light, warm and cool, modern and traditional, and I think that makes them some of the most amazing homes I've ever seen. This black victorian home (above) is located in Portland, Oregon and owned by Stephanie and Phil Dickinson. The owners preferred modern design so they went ahead and gave their old victorian home a modern twist. The interiors are also modern. So, from the front, the home looks victorian, but the interiors and back of the house are modern. I really love the black paint against the warm wood texture. I can't stop looking at it! See more of this house at Portland Monthly. This home (above) is located in Hamburg, Germany and owned by Ehlers and Katja Winterhalder. They were shopping for a minimal, modernists house, and instead they bought this tiny 1907 villa. 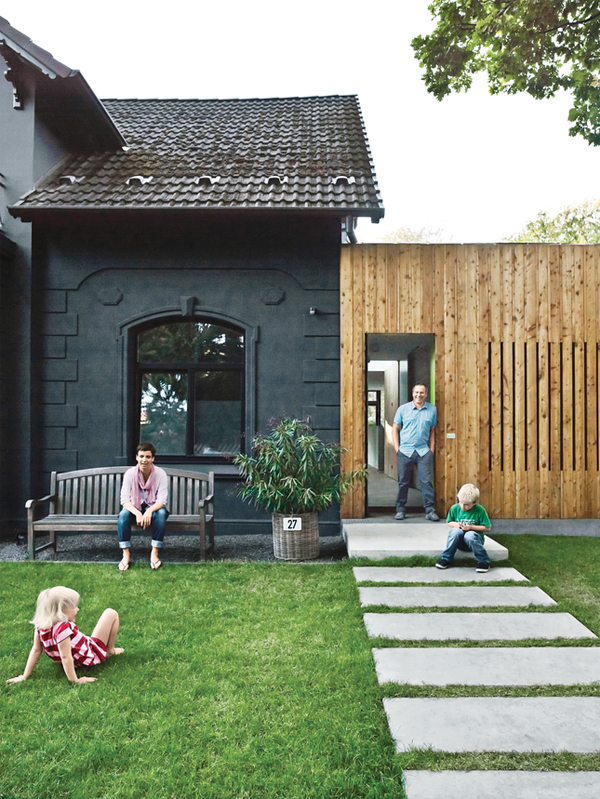 They asked for the assistance of Berlin-based architect Frank Drewes and 6 months later they moved into this home! Here is more of that black paint against the warm wood. If I had the funds I would do this to my house today! See more of this house at Dwell. 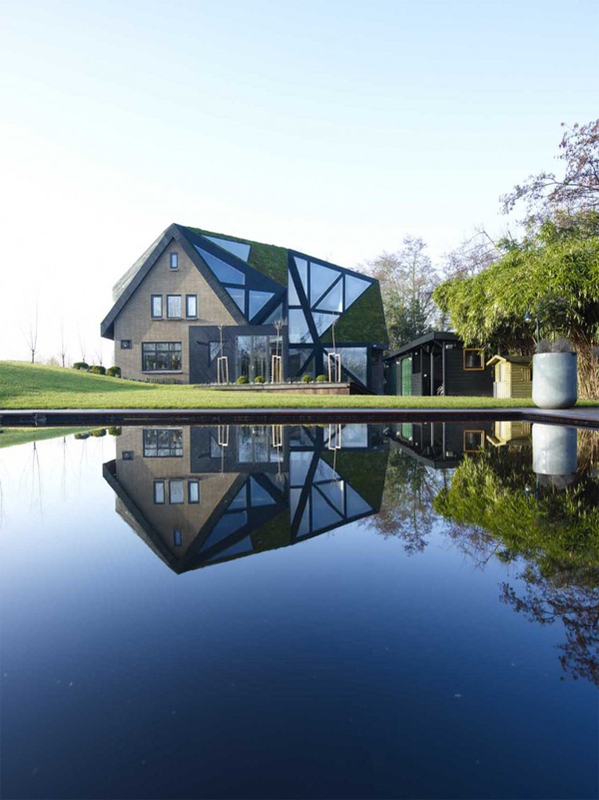 This home (above) is located in Rotterdam, The Netherlands. The architects are Eva Pfannes & Sylvain Hartenberg. The owners wanted a new home, while preserving the spirit of the old home. This was the solution. I love the blend of the modern geometric shapes and traditional elements of the home. It's a seamless blend of old and new! 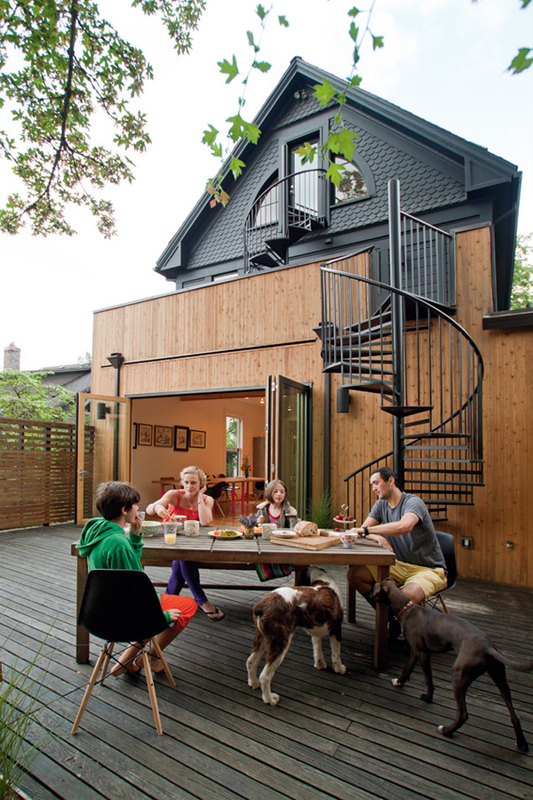 See more of this house at Arch Daily.